Q.3) Which of the following countries is NOT a member of ‘Indian Ocean Rim Association (IORA)’? It is a global platform to explore strategies for development and deployment of renewables. 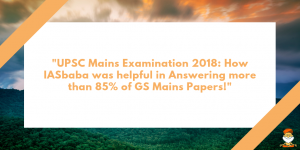 MOTIVATION FOR UPSC MAINS 2018: Someone Amongst You, Reading This Write Up, Is Going to be Rank 1 this Year!